Algae (Plural: Algae / Singular: Algae or Alga) is the bane of every aquarium owner. Algae grows in every healthy aquarium, no matter how well, or how often the tank is cleaned. There is absolutely no safe way to completely prevent or stop the growth of algae. Once it starts to grow in an aquarium, it does so very rapidly. A small patch of algae can triple in size in a few days. The algae growth on the tank, or on the gravel or decorations makes the aquarium look very dirty. Algae in fish tank good or bad? There are many types of algae. There are also a few organisms that look like algae but are not algae at all. In a healthy aquarium, the algae will be green, and if left alone, will grow hair-like in appearance. Algae that is red or brown may indicate a water quality problem, such as high dissolved nitrate or phosphate levels in the water. Red and brown algae are also common in new tanks, when the aquarium is not yet ecologically balanced. These types of algae are also quite common in saltwater fish-only tanks when the coral decorations are cleaned on a regular basis. The small round green “dots” that form on the sides of a tank are not algae. These are actually populations of Diatoms, microscopic animals that secrete a hard calcium shell on which green algae grows. This type of “algae” is the most difficult to remove. Cyanobacteria or Blue-green algae: An aquarium may occasionally break out with an infestation of cyanobacteria, a slimy growth that grows more rapidly than algae. It may be green, blue, black or red in color. Unlike algae, cyanobacteria is extremely easy to remove but very difficult to control. Even if every bit is removed, it can quickly grow back in only a few days. Cyanobacteria thrives in well-lit aquariums that have excessive levels of phosphate in the water. Although it’s rather unattractive, algae is not “dirt”, but a primitive form of plant-like life. Green and some brown algae growth is normal and natural and occurs in nearly all aquariums. Like plants, all species of algae need light, water and nutrients to grow. Since an aquarium provides the water, we’re left with two factors that you can control to prevent the rapid accumulation of algae. These are: the amount of light the aquarium receives; and the levels of nutrients dissolved in the water. Limiting the light that the aquarium receives is the most important factor in controlling algae growth. If an aquarium is near a window, algae will grow faster, even if the aquarium does not receive direct sunlight. Leaving the aquarium lights on for more than eight hours a day can also cause rapid algae growth. Like any plant, algae require food to survive. The three main nutrients that algae need are nitrogen, phosphorus and potassium. In an aquarium, these nutrients come from fish waste, uneaten food, the metabolism of beneficial bacteria, and the decay of other organics such as plant debris or even dead algae. There is also a surprisingly high amount of phosphorus in our tap water. Overfeeding: Don’t overfeed your aquarium. Follow our recommendations in the article on feeding. If a fish dies, remove it immediately. Decaying matter creates high levels of nutrients in the water, causing rapid algae growth. Aquarium Placement: We suggest that the aquarium be placed as far away from a window as possible. If an aquarium must be placed near or facing a window, blinds or drapery should be kept closed during the day. Reduce Aquarium Lightning: The aquarium lights should not be on for more than ten hours a day. Fish require no less than six hours of light every day in order to manufacture vitamin D. They also must have consistent lighting, with the lights coming on and going off at the same times every day. Water Changes: You control the accumulation of nitrogen when you perform a water change. Phosphates may be controlled by using phosphate-removal media in an external filter or by using reverse osmosis water for the aquarium. If you do not already have an external canister filter on your aquarium, install one. By using large quantities of chemical removal material in these filters, you can help prevent algae growth. Unless your aquarium already has one, install an ultraviolet sterilizer on the tank. Besides controlling parasites in the water, these devices also kill algae cells in the water before they can grow in your tank. There are also tap water pretreatment, filtration and sterilization methods that can tremendously reduce the growth rate and accumulation of algae. In freshwater aquariums there are a few species of algae-eating fish and snails that can help to keep algae under control. Do snails clean fish tanks? Freshwater snails can breed and over-populate a tank, creating more of a nuisance than the algae they’re supposed to eat. The algae-eating fish do not feed exclusively on algae, and if well-fed, will ignore the algae growing in your tank. However, keeping one snail and/or a few small Plecostomus species of fish may help to control algae in-between our maintenance visits. 6) Using Reverse Osmosis, Bottled or Distilled Water for Water Changes. We discuss all of the above filtration and water-treatment techniques in our newly expanded filtration section. The use of reverse osmosis water for the aquarium will prevent any excess phosphates or other chemicals from getting in the aquarium, thereby helping to control algae. 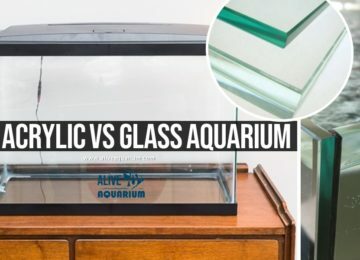 Acrylic VS Glass Aquarium Comparison: Which Tank suits you? 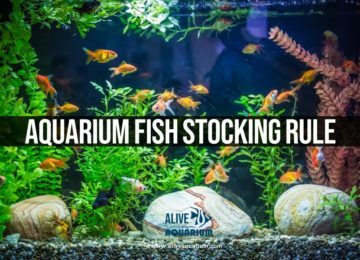 Stocking an Aquarium: How many Fish in Marine & Freshwater Tank?